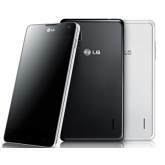 LG has now officially announced the launch of the highly aticipated Optimus G smartphone. The new mobile phone features the brand new Snapdragon S4 Quad Core Pro APQ8064 CPU and will utilize various compopnents from sister companies. Among the many features that were announced, it is worth mentioning the WXGA IPS display, capable of a resolution of 1280 X 768 pixels, all in 4.7 inches. LTE support is included and at first glance, it can be noticed that the display is thinner than with previous models. This is possible because of new technolgy included, especially the G2 Hybrid Touch Display. The Optimus G battery will surely be attractive for those people that want a phone that lasts a long time. It is currently guaranteed that it will last a minimum of 800 life cycles, which is an improvement on the current 500 cycles standard on the market. The RAM memory included is of 2 GB, which is double the amount that you find in HTC One X or Samsung Galaxy S III. Those that want a lot of megapixels in their mobile phones will appreciate the 13 megapixel camera and the operating system included is Android 4.0. The first Optimus G units will be available in Japan and sold by NTT Docomo. The global version will be released in Korea, in September and the rest of the world will get it shortly after that, although an official release date was not mentioned. Will the LG Optimus G be a top smartphone competitor? When do you think it will launch in the US? Share your thoughts below!